Fun and Intensive Latin Dance Workout for Adults and Children. At Star Dance School we provide professional competitive dance, or dancesport, instruction for adults, including Pro-Am. Private, semi-private, and group dance classes are available in International and American Dance Styles: International Standard, International Latin, American Smooth, and American Rhythm. We teach all levels of competitive dancers, and couples, from beginners to champions, and offer individual dance lessons, and discounted dance class packages. 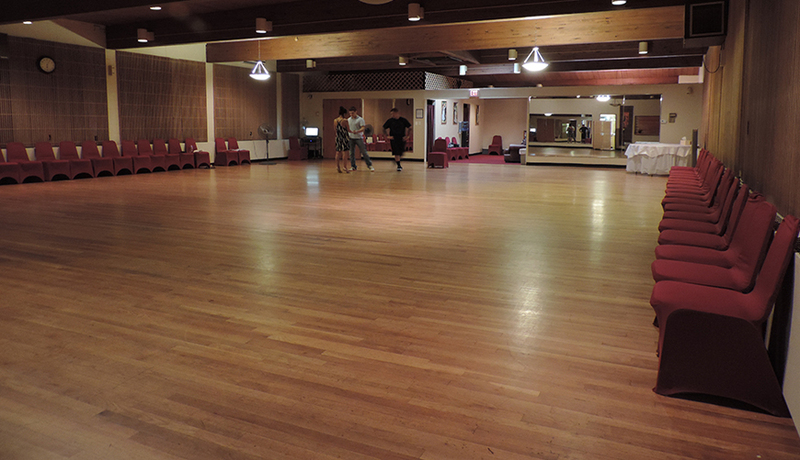 At Star Dance School we provide professional private, semi-private, and group Ballroom, Latin, and Swing social dance lessons. We teach all levels of social dancers, from beginners to experts, and offer individual dance lessons, and discounted dance class packages. Learn to Dance Salsa, Bachata, Merengue, Cha Cha Cha, Rumba, Samba, Mambo, Swing, Waltz, Tango, Foxtrot, and more! Swing Dance Classes for Couples and Singles. No Partner required. At Star Dance School we provide professional dance instruction for wedding couples. We offer Private Wedding Dance Lessons, Group Dance Classes, and discounted Wedding Dance Lesson Packages for the bride and groom or for the whole wedding party. Want a unique First Wedding Dance choreographed just for you? Let us choreograph your wedding dance to your favorite song, in any dance style you prefer, from waltz to hip hop, and make your wedding dance the most beautiful and memorable part of your wedding! For adults who would like to enjoy street dancing in more intense, competitive level, we offer a unique competitive hip hop and breakdance program. Although all levels and ages of dancers are welcomed to join our Hip Hop & Breakdancing competitive dance crews, auditions are recommended to be placed in a crew of his or her age and level. All ages and levels of dancers, B-boys, and B-girls, are welcome to join our hip hop dancing crews. At Star Dance School we provide you with structured and fun dance classes that will also give you a great workout. We have amazing dance instructors and performers who can teach you all hip hop styles: breakdance, locking, popping, boogying, housing, and more! COMPETITIVE BALLROOM DANCE BOOTCAMP - DECEMBER 11TH 2019. ENROLL TODAY!!! Join us for 4 hours of Intensive Standard and Latin Dance Training, for all levels or dancing, from Newcomer to Advanced (Open). World Class Instructors. Limited Class Availability. Student Discounts Available. Address: 323 Washington St, Brighton, MA. We offer Hip Hop and Ballroom/Latin summer dance camps for kids ages 5-17 in July and August 2019, at our Brighton studio, 323 Washington st, Brighton MA. Your children are welcome to join any of our dance camps. There are options of 5 full days or 5 half days for each camp session. The children ages 5-17 (there will be two groups) will learn basic HipHop/Breakdance, or Ballroom/Latin dance concepts, and develop a simple routine to perform for the parents. Healthy snacks will be provided everyday. The camp will start at 9AM, and end at 5/5:30PM. Intro to Dance for Toddlers, or Children ages 2-4 is our new dance class for Kids, an introduction to all the disciplines of dance, designed to enhance children's development through music and movement. The children will gradually develop their performing arts skills, while having fun through play based classes. Kids will learn some easy hip hop, freestyle, ballroom, certain ballet/jazz/modern dance moves, boost their self-confidence, and develop their imagination, coordination, rhythm recognition, music appreciation, flexibility, and poise. At Star Dance School we provide high quality professional competitive dance, or dancesport, instruction for young dancers, children and teenagers ages 5-17, including Pro-Am. Private, semi-private, and group dance classes for children are available in International and American Dance Styles: International Standard, International Latin, American Smooth, and American Rhythm. We teach all levels of competitive dancers, and couples, from beginners to champions, and offer individual dance lessons, and discounted dance class packages. In our Social Dance Classes for Kids and Teens we teach Classical Ballroom Dancing, such as Waltz, Tango, Foxtrot, Street or Social Latin Dancing, such as Salsa, Merengue, Rumba, Cha Cha Cha, Samba, Swing, and Rock 'n' Roll. Dance is an exciting way for children to develop important social skills that lead to success both at school and throughout their lives. At Star Dance School we provide professional private, semi-private, and group social dance lessons. We teach all levels of social dancers, from beginners to experts, and offer individual dance lessons, and discounted dance class packages.